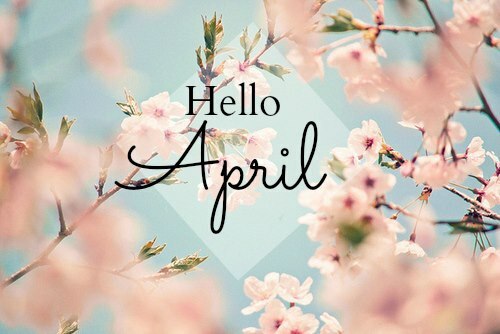 Searching for quotes and sayings about month of April. Now you don't need to search for them anymore. As here I have compiled down some of the famous quotes and sayings on Month of April. Just hope you like the quote compilation and feel good after going through it. Sweet April's tears, Dead on the hem of May. Every tear is answered by a blossom, Every sigh with songs and laughter blent, April-blooms upon the breezes toss them. April knows her own, and is content. The April winds are magical, And thrill our tuneful frames; The garden-walks are passional To bachelors and dames. I love the season well When forest glades are teeming with bright forms, Nor dark and many-folded clouds foretell The coming of storms. When April winds Grew soft, the maple burst into a flush Of scarlet flowers. The tulip tree, high up, Opened in airs of June her multiple OF golden chalices to humming birds And silken-wing'd insects of the sky. April noddy's past and gone, You're the fool an' I'm none. Isn't it appropriate that the month of the tax begins with April Fool's Day and ends with cries of "May Day!"? Old April wanes, and her last dewy morn Her death-bed steeps in tears; to hail the May New blooming blossoms 'neath the sun are born, And all poor April's charms are swept away. And after April, when May follows, / And the whitethroat builds, and all the swallows! For April sobs while these are so glad April weeps while these are so gay,-- Weeps like a tired child who had, Playing with flowers, lost its way.